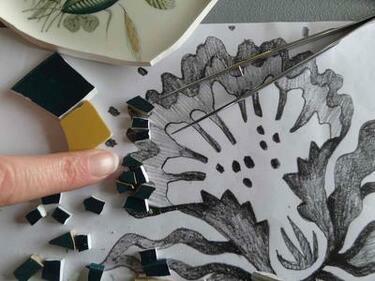 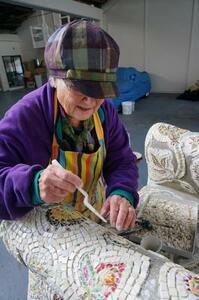 A photograph of Shirley Walden making a flower mosaic out of pieces of broken china. 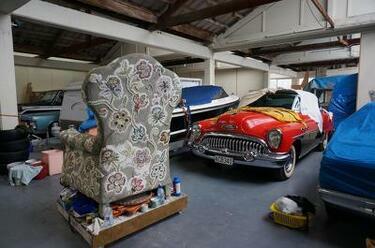 Crack'd for Christchurch comments, "September 2013, three years after the first quake. 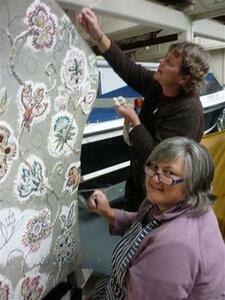 Shirley Walden working on an early flower design in Helen's kitchen." 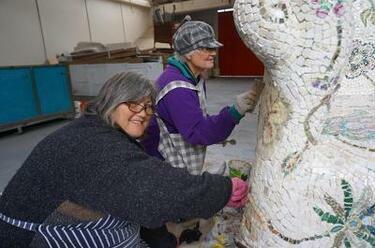 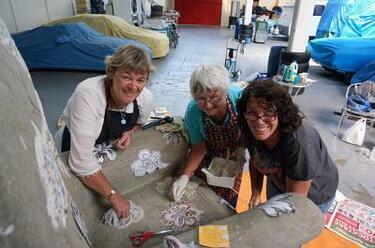 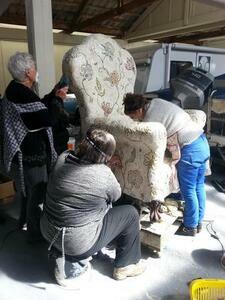 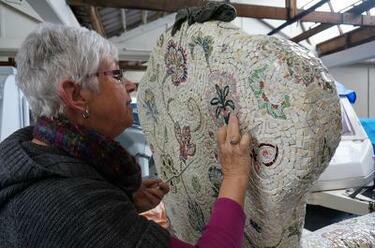 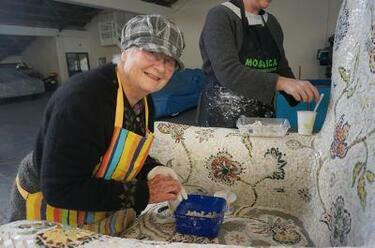 A photograph of members of Crack'd for Christchurch polishing the flower mosaics on their armchair artwork. 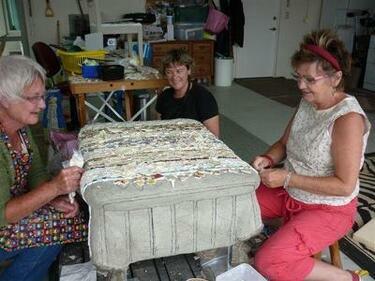 Crack'd for Christchurch comments, "From left: Jennie Cooper, Helen Campbell, and Jenny Cooper." 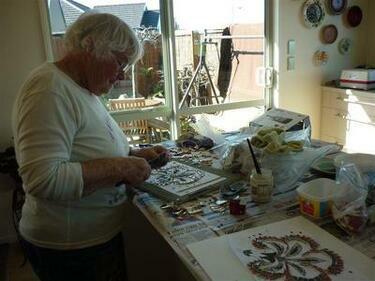 A photograph of Helen Campbell preparing to attach one of the flower mosaics to Crack'd for Christchurch's armchair artwork. 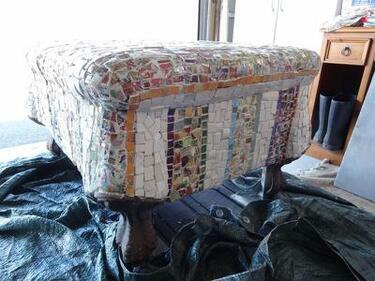 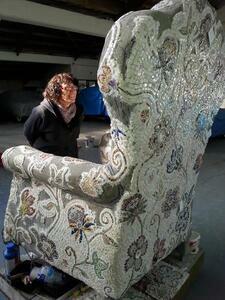 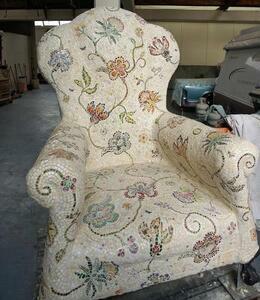 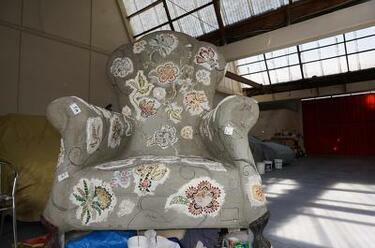 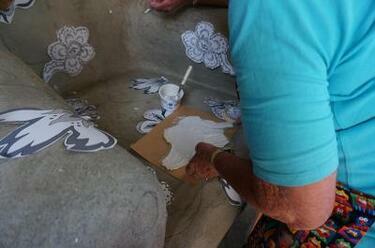 Crack'd for Christchurch comments, "Mosaic adhesive goes on to the concrete chair (which has been sealed and primed). 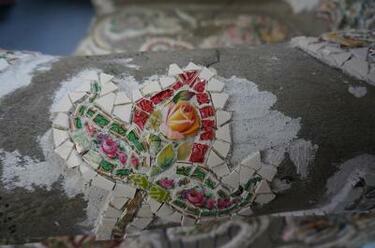 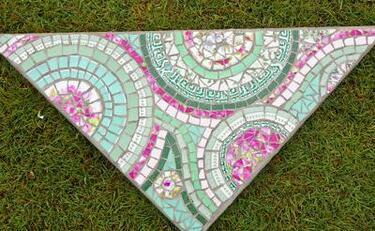 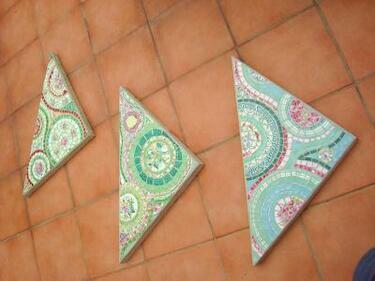 We also put mosaic adhesive on the back of each flower."